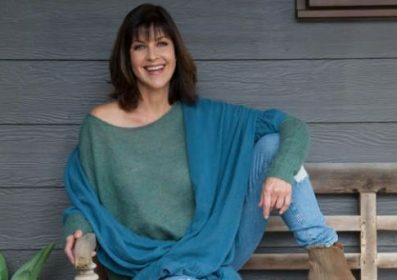 Former Brand Power Australia presenter Sally Williams has joined local shopping trolley manufacturer Supercart Australia to continue the Big Push for a more sustainable nation. The popular 3AW presenter and TV personality has joined Supercart as its first ambassador, a partnership designed to create more awareness of the sustainable shopping trolleys which are made from recycled plastic milk bottles. The trolleys are already gaining attention in Australian supermarkets with a number of independent business owners and supermarket giants having replaced their steel- trolleys with the range of products created by Supercart Australia. Each 180-litre shopping trolley is manufactured using 154 recycled 2-litre milk bottles otherwise destined for recycling depots or landfill. The manufacturing process uses significantly less water and energy than the equivalent steel trolley with the accompanying benefit of reduced greenhouse gas emissions. They are typically 30 per cent lighter than steel trolleys resulting in a pleasant shopping experience and are proudly made in Australia. Supercart is the leading manufacturer of shopping trolleys and baskets in South Africa with a history dating back more than 30 years. Supercart Australia technical director Louw Van Tonder said the partnership with Sustainable Sally brought together two brands committed to sustainability. Van Tonder said: “We are delighted to be involved with Sally who represents the values and ideals we have about our products. Williams, who has a regular sustainability segment on 3AW and Vasili’s Garden TV show on 7Two, said her ambassadorship was an opportunity to draw attention to manufacturers who play an integral role in sustainable practices. She said: “The team at Supercart Australia has been doing an amazing job developing products which lead to more sustainability, especially in the supermarket space where we all can do our little bit for the planet. “We need more Australians to make conscious decisions about sustainability, but we need shoppers to pressure supermarket owners and big business decision-makers about their responsibility to do more to protect the planet.